Since its launch in January this year, the UK Government’s Boiler Scrappage Scheme for England has received mixed reviews. Green energy campaigners have, generally speaking, been in favour of the scheme, which enabled eligible households in the UK to receive a £400 voucher to put towards replacing their energy inefficient G-rated boilers with considerably more efficient A-rated systems. The £400 voucher was matched by the leading energy companies, including British Gas Boilers, who offered to fix and install the new A-rated boilers provided they were purchased through the company. The combined saving generated by the Boiler Scrappage Scheme and energy partner deals totalled £800, which caught the attention of many households. The Boiler Scrappage Scheme was also hit by a series of delays, which meant many customers had to wait weeks to receive their vouchers. Nevertheless, it is widely accepted that upgrading a central heating system from a G-rated boiler to an A-rated boiler can save over £200 on annual energy bills, so a short delay in receiving the voucher is unlikely to have affected many households in the long-term. Regardless of the merits of the scheme, one thing is now clear: the Boiler Scrappage Scheme is over, as all 125,000 vouchers have been taken by households across England. Speaking about the scheme’s closure, Energy and Climate Change Minister, Lord Hunt, announced: “The scheme’s been a great success and is already helping people cut down on their fuel bills. 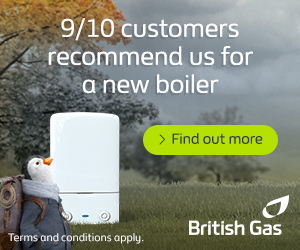 An ‘A-rated’ energy-efficient boiler can help save around £200 a year off fuel bills and reduce emissions. The scheme has also provided a much needed boost to England’s plumbers and boiler manufacturers, helping to sustain work for the 130,000 installers and up to 25 UK-based boiler manufacturers throughout the economic recovery”. Despite its relative success – in terms of being ‘sold out’ within three months and helping to reduce greenhouse gas emissions – the Department of Energy and Climate Change has stressed that it has no plans to introduce a similar scheme in the near future. Just got my estimate for replacent ‘A’ reg HX18 gloworm boiler. 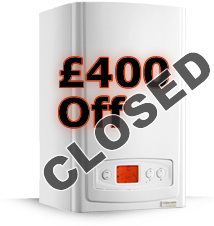 last Friday the 26th March the same day the voucher for £400 was cancelled. My present boiler is a ‘G’ reg boiler installed in 1970 so it would have quiified for the voucher. So I will have to keep on with my old one has this would have been a big help for me has a poor 76 year old pensioner.